Earlier this year, the world lost one of its most prolific science fiction authors, Ray Bradbury. He was also one of my favorite authors; I was a devoted reader of his novels and short stories. His books have had many different covers over the years, some good, some not so good. 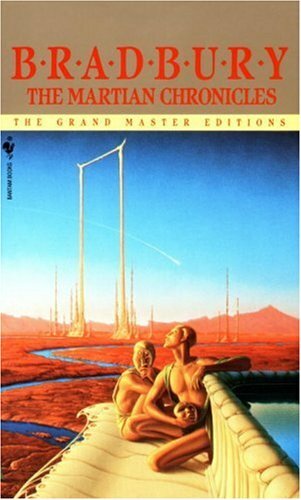 I want to design a generative book cover for The Martian Chronicles because it has so many interesting possibilities, and because it seems rather timely after the Mars Curiosity landing earlier this year. In fact, I plan on looking at some of the recent photos of Mars for inspiration. I also plan on flipping through the stories. I also intend to design another font for this project. I happen to like it, but it feels a little retro. Also, it only applies to a handful of the stories in the collection. I think there are ways I can allude to more of the stories, or at least design a set of elements that suggest Mars without being so blunt.